Cancer Gets Lost is incredibly grateful to everyone that very kindly participated in our 2018 online charity auction in July. Thanks to your absolutely amazing generosity, we raised over $50,000 for the Pancreatic Cancer Action Network! The final amount being donated to PanCAN is $55,000, in honor of my mother-in-law Carolyn. The auction itself raised just over $51,000 but there were a few non-payments, so CGL decided to tap into our reserves and round up the donation to an even $55K! Huge thank you to those that kindly made direct donations to CGL during our auction; we also included your financial contributions in the final amount donated to PanCAN. In the interest of complete transparency: as is the case with all CGL charity auctions, we do not keep or earn even $.01 from the auction. A note of genuine thanks to the following friends of CGL, all of whom contributed time behind the scenes to help bring our 2018 online charity auction to life! From waiting in long lines at Cons to get multiple auction items signed, to creating graphics, to auction photography sessions and inventory assistance, CGL is supported by rock stars: Blythe J, Brittany D, David H, Fong S, Frances N, Jared W, Jen S, Josh G, Layhan B, Lauren S, Lisa C, Meg D, Rick O & Sarah G.
In addition, a shout-out of gratitude to CGL Co-Founder Jared Wong, James Frazier/Walker Stalker Con and Heroes & Villains Fan Fest for unparalleled auction item autograph acquisitions! And of course we must acknowledge the tremendously generous fans from across all fandoms that supported our online charity auction, and every single person that kindly donated items (a majority of our inventory)! We also appreciate every fan artist that donated art for our auction, and are grateful for the many contributions from Abby, Agathe C, Alisha D, Jessica Y, Kate T, Kira B, Kylie C & Sarah C! And the cast/crew/creative teams from The 100, LOST and Wynonna Earp really went out of their way to contribute and sign items for CGL this year. Love and hugs! 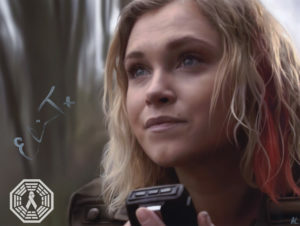 Throughout the two years it takes us to build an auction of this magnitude, one person in particular went above and beyond for us: Eliza Taylor, an astoundingly kind soul and dear friend to Cancer Gets Lost! She is a spectacular human with a heart the size of Australia. We feel lucky to have partnered with the lovely humans at PanCAN, who were all wonderful to work with on this charity auction benefiting their essential organization! Our final note of thanks is dedicated to our spouses and families, because they inspire and motivate every aspect of Cancer Gets Lost. Their support is invaluable and appreciated more than they’ll ever know. We Have to Give Back! We are already working on the Cancer Gets Lost 2020 Online Charity Auction, which will feature more LOST items than any other show, as it will be the 10-year anniversary of the LOST series finale! There is a possibility that we will host a LOST-only online auction early that year and a separate auction with items from others shows/films toward the end of 2020, but no decision has been made yet. 100% of the net proceeds from all 2020 CGL auctions will be donated to The Leukemia & Lymphoma Society in honor of my dad, recently diagnosed with cancer and undergoing treatment for lymphoma as we speak. 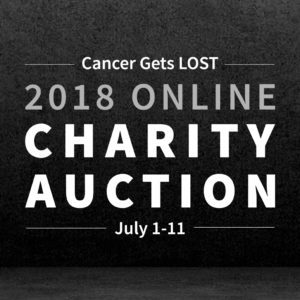 The 2018 Cancer Gets Lost Charity Auction to benefit PanCAN is now closed! We featured 400+ pop culture collectibles from over 80 TV shows and 40 films, plus a variety of books, comics and more! And thanks to the kindness of fans and actors, producers and writers – almost all of our auction items were signed. We hosted the auction itself on an external auction host site; HERE is the link! 100% of the net proceeds from the 2018 Cancer Gets Lost Charity Auction will be donated to the Pancreatic Cancer Action Network. Net proceeds = 100% of every cent raised after we pay our vendors! PanCAN focuses on pancreatic cancer research, clinical initiatives, patient services and advocacy. We selected PanCAN to receive our auction net proceeds in honor of my mother-in-law Carolyn, who recently passed away after bravely battling pancreatic cancer for 4 years. CGL Auction Participants! PLEASE READ about all Buyer’s Premium Fees, Terms & Conditions, plus Closing, Payment & Shipping Instructions below! Full disclosure: we fund Cancer Gets Lost ourselves, with our own money. CGL is a 501c(3)-sponsored organization. Our fiscal sponsor FJC, A Foundation of Philanthropic Funds (a 501c(3) public charity that provides management of charitable giving), oversees all of the financials for Cancer Gets Lost – including our PayPal account. FJC has earned a top 4-star rating on Charity Navigator! Neither myself nor CGL Co-Founder Jared Wong keep or earn any money raised in any of our charity auctions (we have not received/earned even one cent from any Cancer Gets Lost charity auction, nor do we plan to). CGL is a labor of love that we work on in our spare time, outside of our full-time jobs! As is the standard in most online charity auctions of this magnitude, winning bidders will be required to pay a Buyer’s Premium in addition to the winning bid and shipping fee. While other auction sites set these fees in the range of 15-25%, CGL has arranged for a lower Buyer’s Premium fee. For the 2018 Cancer Gets LOST Charity Auction, the Buyer’s Premium fee will only be 10% per item! An example: if you bid on and win a poster in the CGL Charity Auction for $100, you will pay $100 + shipping + a 10% buyer’s premium ($10). And FYI: we do offer combined shipping when multiple items are purchased by the same buyer! Shipping of all auction items will take place from late July to mid-August, once ALL payments have been received, confirmed and processed by FJC. If you win an item in the 2018 Cancer Gets Lost Charity Auction for a winning bid amount higher than the starting price of the item, you will automatically receive a tax receipt from our fiscal sponsor, FJC. Disclaimer: PLEASE NOTE THAT ALL ITEMS IN THE 2018 CANCER GETS LOST CHARITY AUCTION ARE SOLD IN “AS IS” CONDITION, WITHOUT ANY WARRANTIES, EITHER EXPRESS OR IMPLIED. There are NO refunds! 100% of the net proceeds from the 2018 Cancer Gets Lost Charity Auction are being donated to the Pancreatic Cancer Action Network, a pancreatic cancer charity. Before you start bidding on items, please take the time to read the “Terms” tab, which will be in every auction item listing. The winning bidder is responsible for ANY/ALL Customs and Import Duties that may apply once our shipment arrives in your country. Please check your own country fees/duties before placing bids, and decide for yourself if you are willing and able to cover the additional fees/duties! Please only place bids in our charity auction if you genuinely intend to pay for items you win and have the means to do so. CLOSING, PAYMENT & SHIPPING INSTRUCTIONS! If you won an item in our online charity auction: thank you so much! Please don’t be alarmed if you don’t receive an email confirmation from iCollector. CGL has now emailed all 435 winning bidders, and that is confirmation that you have won items in our charity auction (and that your individual invoices are being created as we speak, to be emailed to you within 3 days). Within 3 days of auction close, we will email winning bidders an itemized invoice for items won in the 2018 Cancer Gets Lost Charity Auction, including the 10% Buyer’s Premium and shipping costs. If you win multiple items, they will be combined on one invoice! In the email, there will be a link to the Cancer Gets Lost PayPal account (the same one linked in the DONATE button and page on this site), for winning bidders to complete payment. Please do NOT go directly to the PayPal site or app to make payment; you MUST use the PayPal link in the invoice or on CGL’s website in order for the winning bid payments to be made to FJC, for them to process. PLEASE make sure that you enter the exact amount from your invoice when you make your PayPal payment! 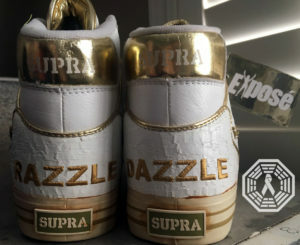 This includes winning bid amount(s), shipping and Buyer’s Premium fee. **Make sure to forward your PayPal email receipt to CGL (CGLauctions at gmail dot com) and include your shipping address in the email, as it is not always listed in the PayPal receipt, and we need it for both shipping and tax receipt purposes! You will have 7 DAYS to complete payments for all items won in the 2018 Cancer Gets Lost Charity Auction! You do not have to have a PayPal account, but we strongly recommend it. PayPal does offer the option to pay via credit card. Because CGL is a 2-person operation and CGL’s fiscal sponsor FJC has to process hundreds of payments to the CGL PayPal account, please note: it will take up to 3 WEEKS before we start shipping out items to winning bidders in the 2018 Cancer Gets Lost Charity Auction (to verify and process payments from several hundred different winning bidders)! In order to avoid fraud, which sadly has been an issue for CGL in the past, we take extra time to confirm absolutely every aspect of each winning bidder’s payment information. Shipment of your items will take place from the end of July through mid-August. We appreciate your patience in advance; with over 400 auction items, there is a tremendous amount to process and ship! All domestic packages will be shipped via USPS, and all will include both insurance and tracking. We will choose the best option for you at the most reasonable cost. Shipping notifications with tracking info will be emailed to winning bidders. All overseas packages weighing less than 3 pounds will be shipped via USPS International First Class, and packages weighing over 3 pounds will be shipped via USPS International Priority Mail. To reiterate: the winning bidder is responsible for ANY/ALL Customs and Import Duties that may apply once our shipment arrives in your country. A Certificate of Authenticity will accompany every item from the 2018 Cancer Gets Lost Charity Auction. After payments for ALL items won in the 2018 Cancer Gets Lost Charity Auction have been received and processed, AND Cancer Gets Lost has completed shipment of all items, we will then donate 100% of the auction net proceeds to PanCAN. We will share the total amount of money to be donated once that amount has been finalized! Net proceeds = 100% of every cent raised after we pay our vendors. For any shipping questions, please email us (CGLauctions at gmail dot com). For all other inquiries, please tweet us @CancerGetsLOSTand we will get back to you in a timely manner. Please keep in mind that we will not be able to respond to inquiries in the middle of the night. We are in the Pacific Daylight Time zone, in California (United States). For those of you interested in supporting CGL, there is always the option to make a tax-deductible contribution to CGL via FJC, our fiscal sponsor! On the top of the CGL homepage, there is a Donate tab, for your convenience. Financial donations help offset the costs of auction hosting and shipping fees, and we appreciate every cent contributed toward the cause! 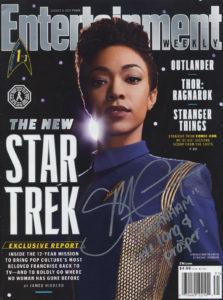 If you’re interested in donating an item to a future Cancer Gets Lost charity auction, we are always grateful for and open to donations of pop culture collectibles! Please contact us via email (cancergetslost at gmail dot com) any time. Thank you so much for participating in the 2018 Cancer Gets Lost Charity Auction! We are genuinely honored to be able to donate our net proceeds to PanCAN, and thanks to YOUR kindness – a significant amount will be contributed to their crucial pancreatic cancer cure research and patient services.